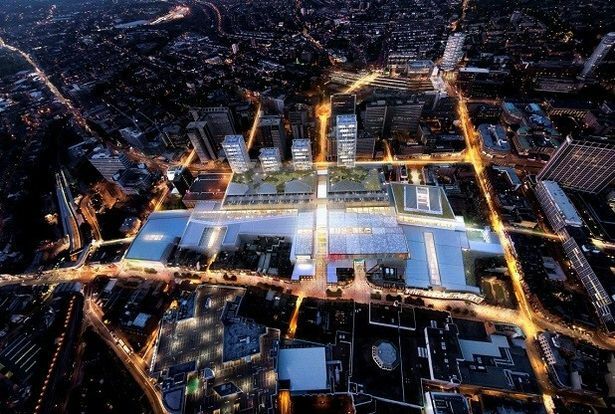 Croydon Council have approved the £1.4 billion Westfield shopping centre. Work will start on London’s third Westfield complex in 2019, which will create 7,000 new jobs and 1,000 new homes. The projects aim is to regenerate Croydon town centre. This will be third Westfield in the Capital City, after Westfield Shepherds Bush, which opened in 2008 and Westfield Stratford which opened in 2011 ready for the 2012 Olympic games. Both previous projects cost over £1.5 billion each, however, have seen combined almost 100 million visitors through their doors annually which is a huge boost to the economy. Although the new complex will be the smallest out of the three shopping centres it is set to boost Croydon’s economy and become the most sought area in London to shop and live. The new development in Croydon is a momentous decision for the area. It is hoped that the new shopping centre will not just rejuvenate the town centre, but draw shoppers into the town from far and wide. The work for the new project will begin in 2019 to give the council enough time to assess all that is needed to go into the project, and to also give the area two more Christmases before they demolish the current shopping centre for Westfields to take its place. The aim is for the new shopping centre to be ready by 2022. The new build will be across three levels and will have space for approximately 110 shops and restaurants, which is marginally smaller than the 350 shops and restaurants that boasts Westfield Stratford city. There is currently no confirmation of which brands will feature but there will be a new flagship Marks & Spencer. There would also be potential for a cinema and space for either a 250-bed hotel or 500-bed student accommodation. 3,140 car parking spaces are planned plus an initial 300 spaces for cyclists. The project will also see between 626 and 967 flats built, set in four or five separate tower blocks along the front of Wellesley Road. How do you feel about the new project? Do you think this is a great step into regenerating Croydon’s Town Centre? Tweet us at @HighfieldREC to let us know!